Dates: To be determined, email for additional information. Hours: Open from 7 am to noon. Directions: Located at km 4 of the Fish Lake Road at the junction of the Copper Haul Road, park near the gazebo and follow the signage. 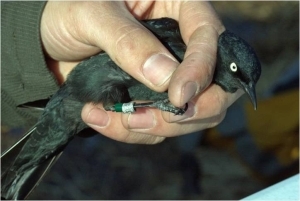 The McIntyre Marsh Bird Banding Station was initiated during the spring of 2009 and has operated annually since then. This station is not currently a full scale migration monitoring station as the primary goal of this station is to provide a public demonstration site and collect baseline information on the use of the McIntyre Marsh wetlands by migratory birds. The training of students and volunteers is also an objective of this station which is very accessible to the public. The station typically operates on weekends and holidays from the last week of April until the end of May. Special arrangements can also be made to accommodate school groups on weekdays during the spring migration season. In recent years, the station has been sponsored by EDI Environmental Dynamics Inc., a local environmental consulting company, who provides two bird biologists to operate the station on a number of weekday mornings to host school groups. 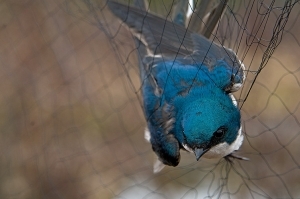 The primary method of collecting data at the station is through mist netting, although incidental bird observations are also recorded. 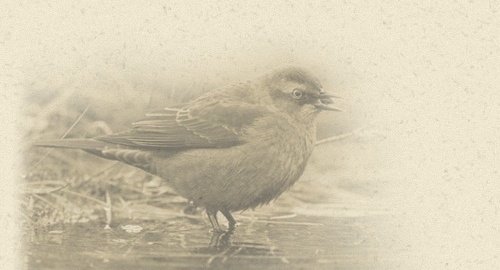 Following each day of operation, ‘daily species totals’ are derived to obtain an index of the numbers of individuals of each species observed within or flying over the station on a given day. The McIntyre Marsh station is within the City of Whitehorse and is located on the Fish Lake Road (km 4) near the junction of the Copper Haul Road. 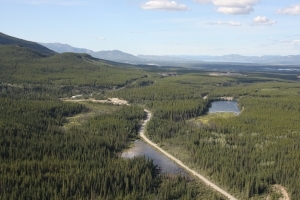 The land where the station is located is owned by the Yukon Electrical Company Ltd., who provides access to the site for the purposes of operating the bird banding station. The wetland habitats at the site are a very well known birding area to local birders as it is a hotspot for migrating and breeding birds, particularly songbirds. The dominant feature of the habitat at the station is the marsh itself which provides a complex mixture of various vegetation types including grasses, shrubs and standing dead trees. The marsh is surrounded by a mixture of coniferous trees, primarily lodgepole pine and white spruce. 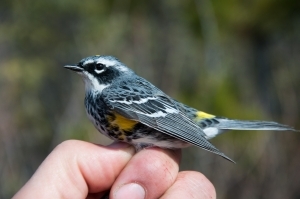 The overall number of birds observed at McIntyre Marsh is lower than at the other Yukon Bird Observatories’ field stations due to the lack of a geographic feature to funnel migrating birds. However, there is a high diversity of species observed and captured on an annual basis; to date 101 species have been observed at the station. 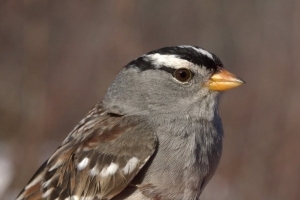 The most common species captured at the station include White-crowned Sparrow, Dark-eyed Junco, American Tree Sparrow, Yellow-rumped Warbler and Wilson’s Warbler. The station is also well known for large congregations of swallows and this is reflected in the high banding totals for this group of birds, particularly Tree and Violet-green swallows. To date, the station has been very successful at attracting visitors to the site and this has resulted in an increased local awareness for migratory birds and their habitats around the Whitehorse area. 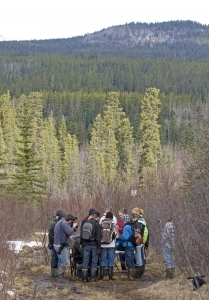 During a typical year, the station hosts over 300 visitors including eight to ten groups from schools in the Whitehorse area. The station is open to the public at all times and individuals (or groups) interested in Yukon birds are encouraged to visit the site. Details regarding the location and date/times the observatory is open are provided in the map below. There are a number of local businesses in the City of Whitehorse that provide meals, accommodations and other services. For more information visit the City of Whitehorse website. For more information on the McIntyre Marsh Bird Banding Station, email the station manager, Ben Schonewille.